New Old Stock from a recently discovered kayak outfitters hoard. 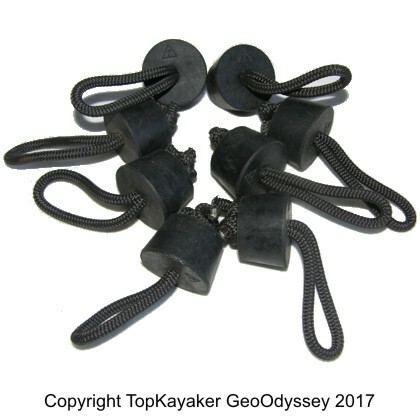 Eight number 7 rubber stoppers known to fit the Ocean Kayak brand Cabo tandem kayak. Also fits Cobra Strike and Perception Illusion, Wilderness Systems Tarpon original and Ocean Kayak Scupper Pro. Pre-assembled with pull cords. The number 7 can be used as a substitute for the modern Ocean Kayak Small Scupper Stopper. The large end is 1 and 9/16 inches. The small end is 1 and 3/16 inches. 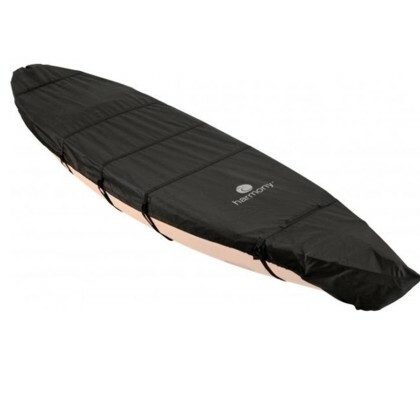 See the *SIZE CHART WINDOW* and the modern Ocean Kayak Stopper Cart for more options.